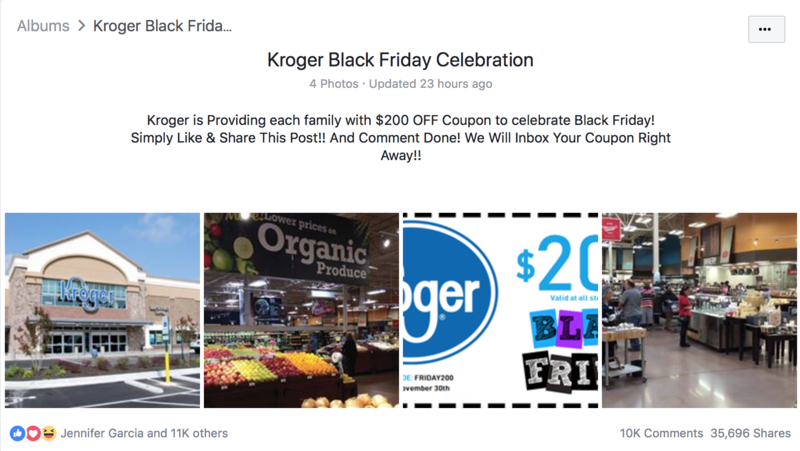 USA – A facebook group calling themselves Kroger Club is offering face coupons for likes and shares and they will inbox you a 200 dollar coupon to be used at black friday event. The page was created November 9,2018 and its first post has gone viral with the fake give away. This may be a way for this group to hack your personal information, be warned. According to Kroger this is a scam and they are not giving away 200 dollar coupons for customers. They have reported this group and you should also.